It’s every manager’s worst nightmare. Employees that aren’t engaged, walking around the office like zombies, not doing any actual work. In the spirit of Halloween, here are 11 statistics that should scare every manager. 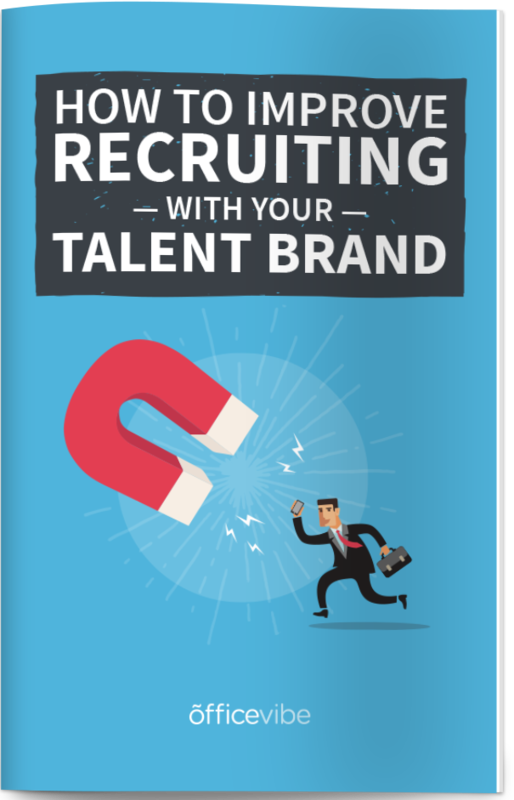 Download this right now: This guide on building your employer brand will show you exactly how to attract and retain the best talent. This infographic was crafted with love by Officevibe, the software that shows you how to be a good leader through frequent and honest employee feedback. According to Gallup, 66% of US employees are not engaged at work. That’s an incredibly depressing number. We’re talking about millions of people who are going to work every day not enjoying themselves. This is costing companies billions of dollars in lost productivity. Employees don’t have any incentive to give any extra effort. It has very little to do with money. At the end of the day, it comes down to respect. Are you treating your employees the way they deserve to be treated? Would this be something you’d be willing to do? Think about that the next time you assign an employee an extra task or ask that they stay late last minute. The truth is, engagement is really quite easy to get right. There are a lot of companies that do it well so it can’t be too tough. What it comes down to more than anything, is showing employees the respect they deserve. This is an important statistic, but it could easily be misunderstood. Millennials want to work in an organization that respects them and offers them a chance to grow. More than anything, this statistic is related to the first one, and just shows how bad the state of employee engagement is. If you can show employees (all employees, including millennials) that there are opportunities for growth and the company is willing to invest in them, then they won’t leave. This statistic makes sense, but shows how important the manager-employee relationship is. Employees need to know their manager cares about their development and wants to see them grow. Employees are desperate to impress their bosses, and they’re looking for approval, so when they don’t get it they feel insulted (and rightfully so). Research has shown that it’s worse for an employee to feel ignored than it is for the to be bullied. Being ignored is a more silent, but more serious form of bullying. Being ignored by coworkers is bad enough, but being ignored by your manager is just plain wrong. Even though we try to maintain some form of work-life balance, we spend most of our lives at work and most of our thoughts and discussions revolve around work. When you hate your job, your boss, your coworkers, and all of these things are stressing you out, it can literally ruin your life. Besides the financial benefits that come with an engaged workforce, to me, the health benefits are way more important. Happiness, health, lack of stress, and general well being is something every company should care about. Employee engagement is about more than dollars and cents. It’s about being human. With all of the research that has come out about the importance of employee engagement, how are there this many organizations without a strategy? This is the most important thing you can be doing, because everything else (employer branding, hiring, profits, etc.) will follow after you get engagement right. Everyone in the organization, including senior leadership, needs to be on board and involved in the planning and execution of an engagement strategy. The strategy can be super simple, because again, it all boils down to treating people with respect, but there needs to be cohesion between everyone. If you were looking to focus on one thing to improve employee engagement, training your managers would be the thing that would give you the biggest ROI. Managers often don’t know how to deal with those people issues or give feedback properly, which is fine because they never learned that stuff in school, but it’s so important that every manager know how to motivate their team properly. There are several simple things that you could do (increasing your emotional intelligence is one of them) to help your managers get better. Managers are already overworked and under a ton of pressure, but focusing on helping their team be as happy as possible should be everyone number one priority. Money can’t buy happiness, remember that. Personal story. When I joined Officevibe, I took a serious salary cut (much more than $5,000) from where I was, because I knew that this was the right place for me and that I would be happier here. I’m surprised that this number isn’t higher. Everyone just wants to be happy at work. Money can’t buy happiness, and it’s not worth being unhappy and depressed. This just shows how desperately people want to be happy at work and how bad the current situation is. Managers have a lot of work to do when it comes to making sure employees are empowered to do great work. If you have a culture that helps employees grow, you offer good perks, and employees are happy, they won’t leave, regardless of how much more money they’re being offered. So this isn’t so much about the additional money, it’s about how easily employees are willing to leave most companies. The second point is important, because if you can’t afford to pay employees more, you can compensate through potential bonuses (incentives based on performance), or more perks like remote options. If an employee could work from home, they might not be making more money, but they’ll spend less on transportation, lunch, parking, etc. so their money will stretch further. This is an amazing statistic. Turnover costs companies so much money, time, and energy, that it makes sense to work hard to keep your employees. This statistic explains exactly how you can do that. Help employees plan a career path. Make them see a future with the organization. Help develop them into future leaders. Monthly one-on-ones are a great way for you to make sure that you’re following up and helping employees with their career path. That monthly, recurring cadence is important to hold each other accountable and offer ways to help them grow. The key to understanding this statistic is that when you offer flexible options to your employees, you’re showing them that you trust them and respect them enough to manage their own lives. That trust and respect is then rewarded with more loyalty from your employees. Give a little, get a little. Many organizations are starting to realize that it’s about the results and quality of your work as oppose to the number of hours you spend at your desk. This is an incredibly powerful statistic. It’s pretty unbelievable to think about how much of an effect managers have on an employee’s engagement. When you stop to think about it, it makes some sense. The manager is the person that holds all of the power for the employee. It’s up to them if they get fired, promoted, praised, their workload, etc. Considering how close the relationship is, it’s so important that you get along. Like I mentioned earlier, the best thing you can do for your team is to make sure managers are well trained, especially in areas like emotional intelligence. Any Scary Statistics You’d Like To Share? Let us know in the comments below! Otherwise, happy Halloween everyone! Enjoy!